Miracles in Healing TODAY on Making Life Brighter with your host, Medical Intuitive, Winifred Adams. Tune in Live at 10am PST/ 1pm EST for this week's show on real miracles in healing! Winifred shares some of her most unique healing experiences as a healer and how miracles in live time are not only possible, but they have and can happen! It's GRAMMY week and Winifred will take you live to the Party and the Grammy's. 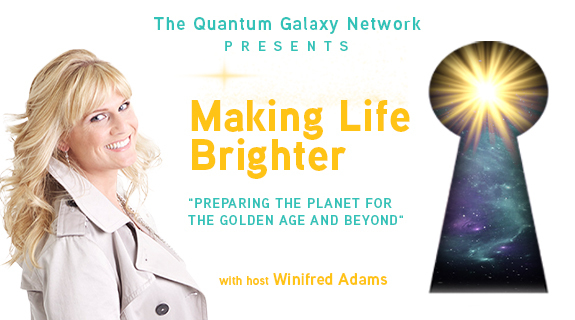 Find out more on today's show and tune in all weekend on FACEBOOK on MAKING LIFE BRIGHTER and Winifred Adams Music for more! Tune in Live or catch the Archive: www.